As we celebrate Independence Day, let us remember the many Germanna-related individuals who served as patriots during the Revolutionary War, helping to earn the liberty we celebrate today. An important part of the story of Germanna and the Revolutionary War is that of the Culpeper Minute Men, organized by recruits from modern-day Culpeper, Fauquier, Madison, and Orange counties. The Culpeper Minute Men Chapter, Sons of the American Revolution, has compiled a list of those who served in this unit and has other information and research on their website. 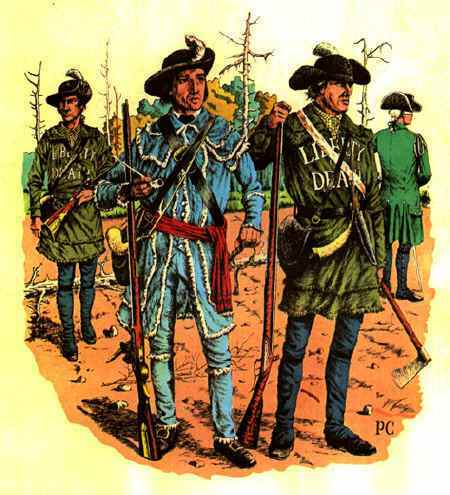 A helpful brochure – published by the Culpeper Department of Tourism – includes information on the Culpeper Minute Men and the Revolution in Culpeper County. Be sure to read about Salubria, Little Fork Church, and the Germanna families of Fishback and Spilman, and don’t miss the handy guide for additional reading and resources. Also, transcriptions of many Revolutionary War pension applications of Germanna descendants and others may be found online here.